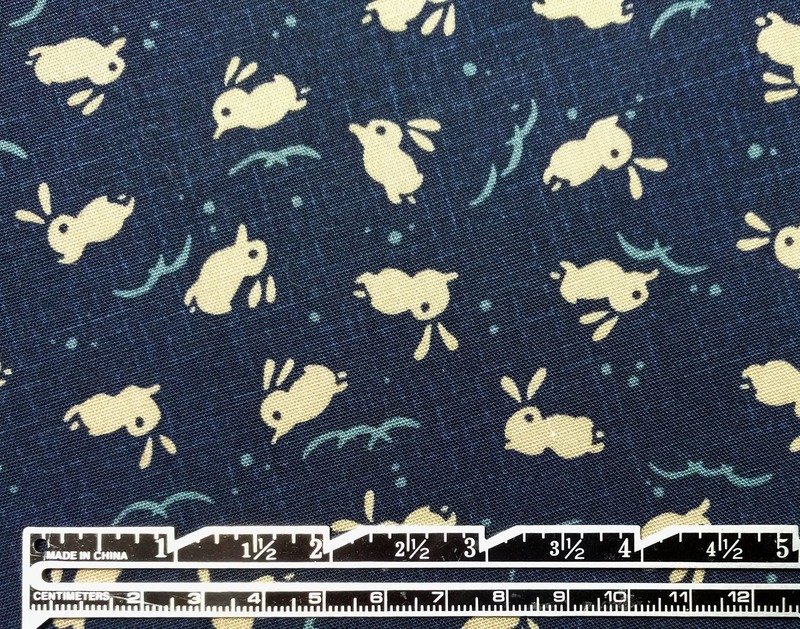 This is a new, high quality, cotton, quilting fabric. 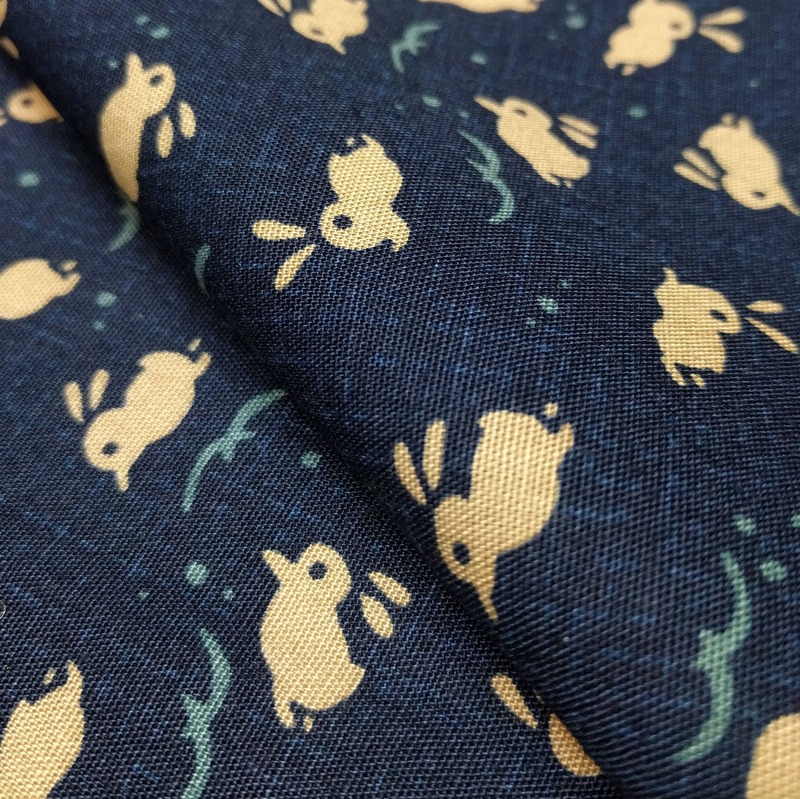 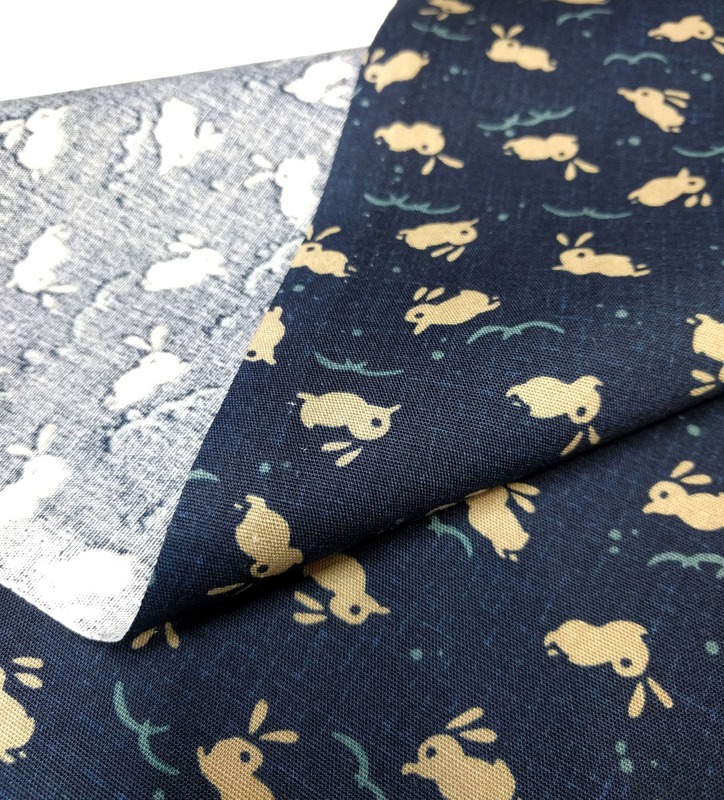 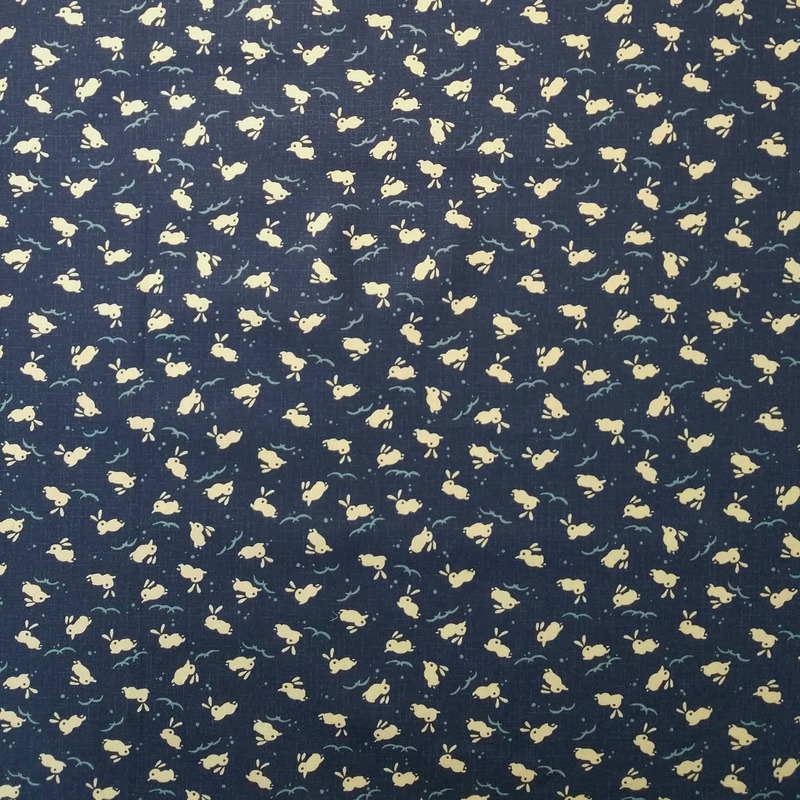 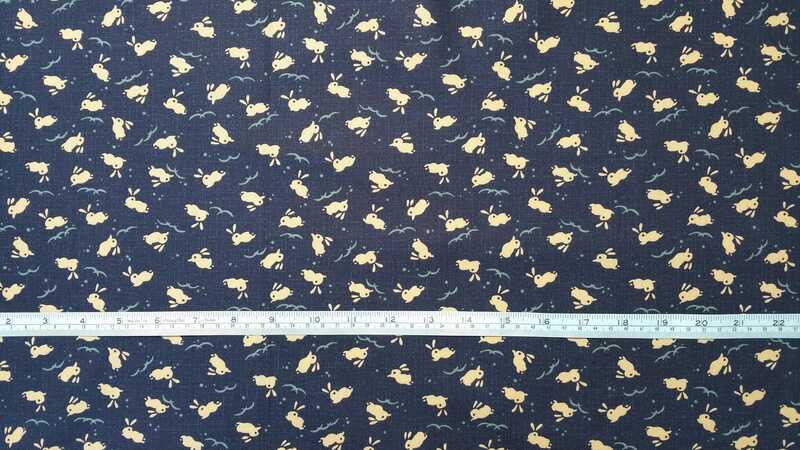 This fabric was created in Japan and has a printed pattern of creme-tan colored bunnies and light blue abstract designs over an indigo blue background. 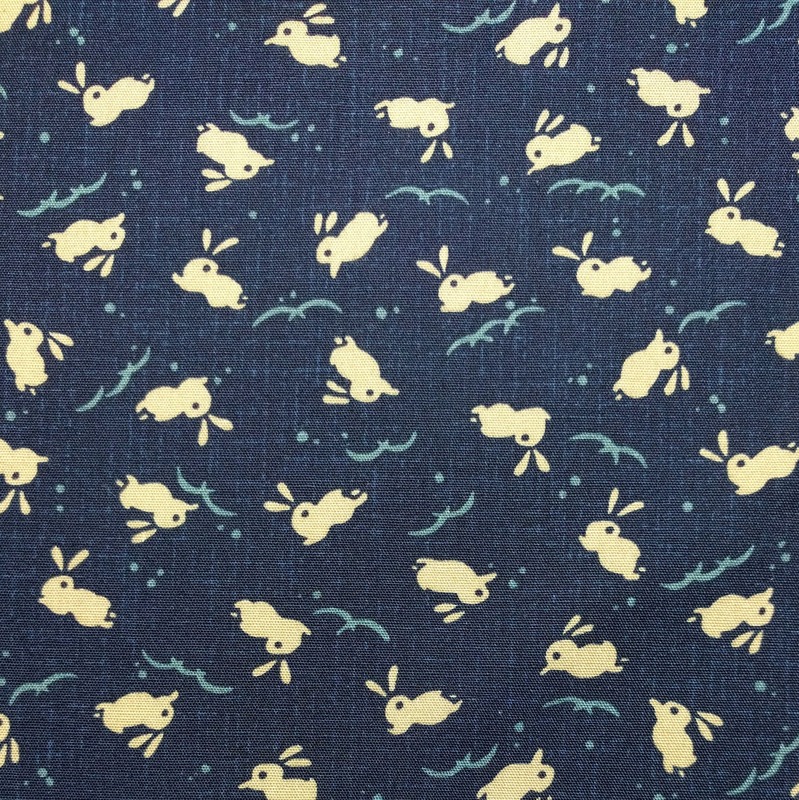 This is part of the "Colorful print Basics" collection distributed by Westex fabrics. 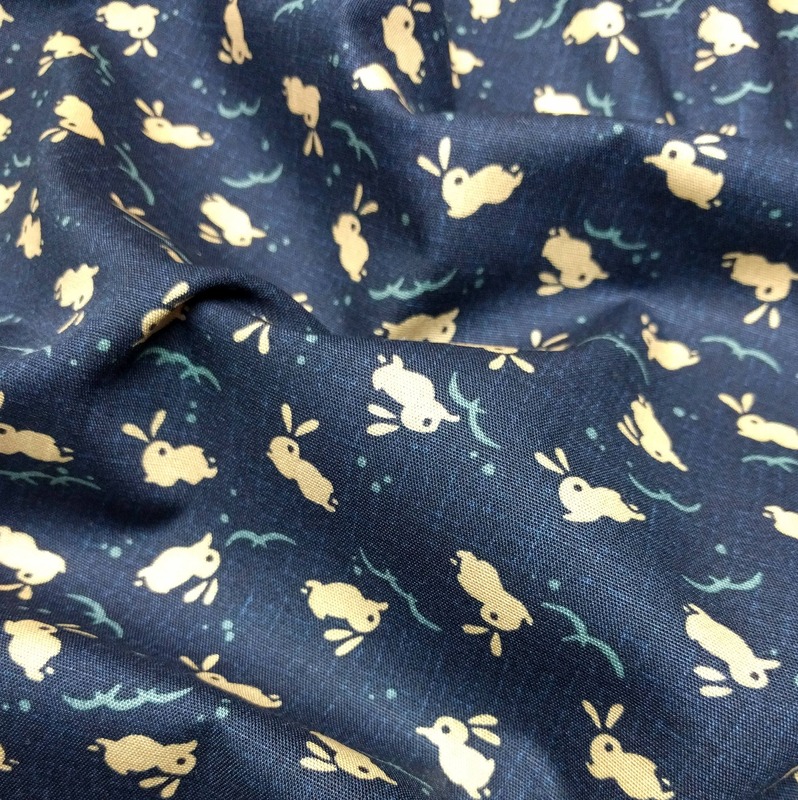 The last photo shows the colors most accurately. 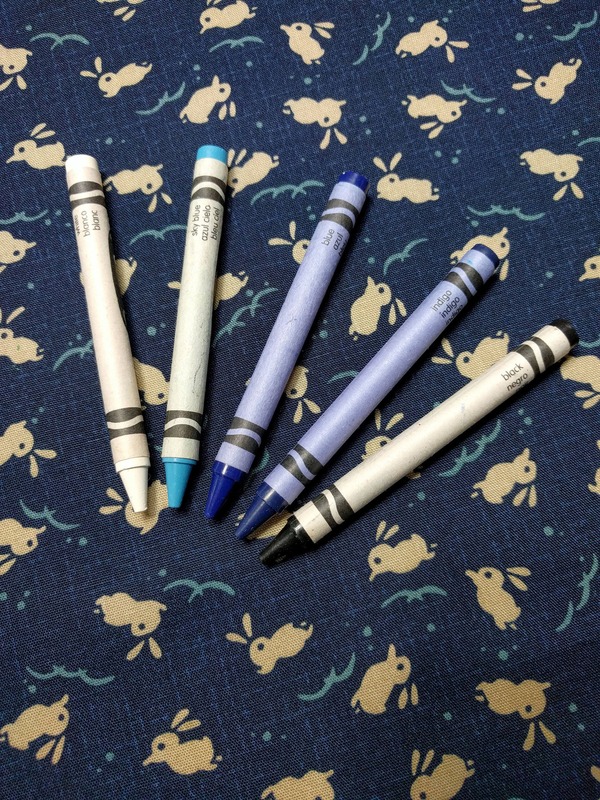 Crayola brand crayons are shown in the photos for a color comparison. 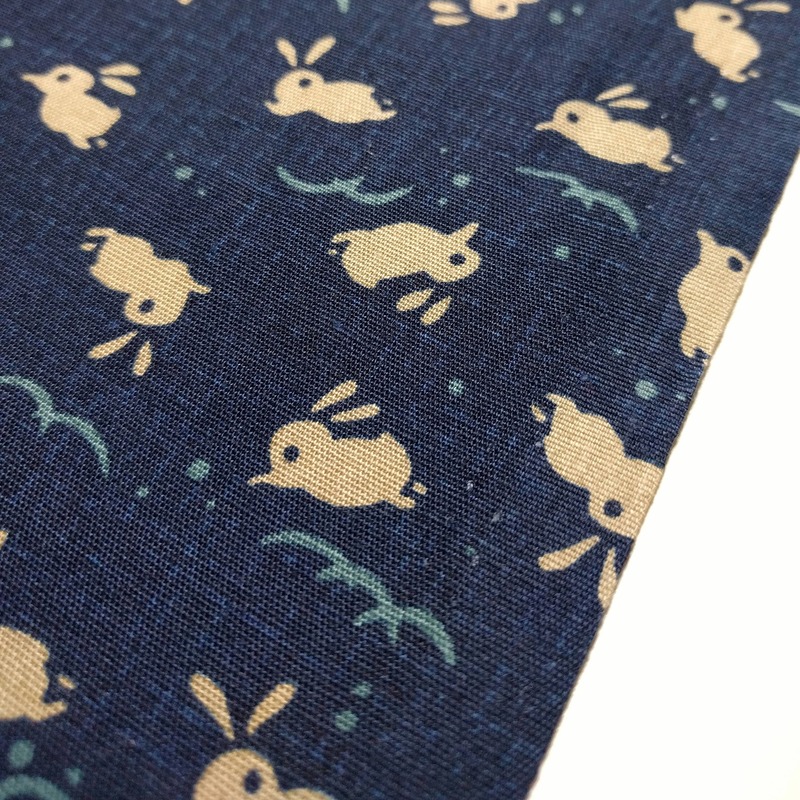 Please note that the indigo background has a variegated color with streaks of lighter blue and that the bunnies are an off-white tan or creme color.